Söpa Chöling is the three-year retreat center at Gampo Abbey in Nova Scotia, Canada. It was envisioned by Chögyam Trungpa Rinpoche and founded by Thrangu Rinpoche in 1990. The first three-year retreats were designed and taught by the great Buddhist master, Jamgön Kongtrul, Lodrö Thayé (1813-1899) who even today continues to be a dominant influence on the practices of Vajrayana Buddhism. 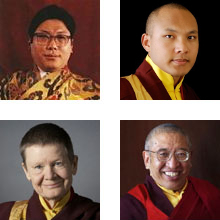 The three-year retreat remains one of the most important institutions of Buddhism. This retreat of solitary meditation within a group has tremendous power to clear away the obscurations that prevent the clear recognition of mind’s essence. 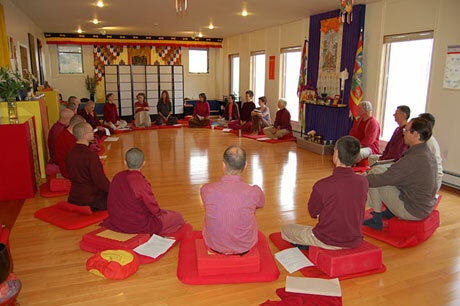 The Söpa Chöling retreat center is one of the hidden jewels of the Shambhala mandala. This beautifully appointed three-story facility is located in northwestern Cape Breton, Nova Scotia, along the famous Cabot Trail. The building is situated high on the red cliffs that overlook the Gulf of St. Lawrence and is surrounded by walking trails. There is a powerful presence of drala here, and the play of the elements inspires the retreat environment. 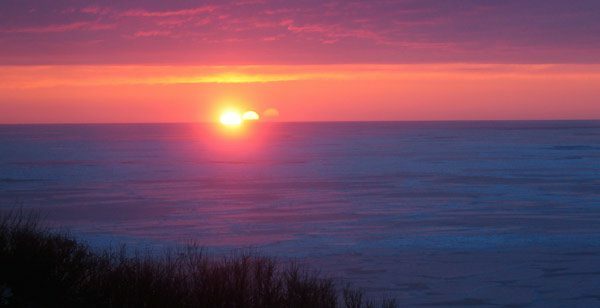 Dramatic sunsets fill the shrine room with red light on summer evenings. In winter, at the end of the last practice session you might step outside to find that the snow is sparkling like diamonds under a canopy of stars. 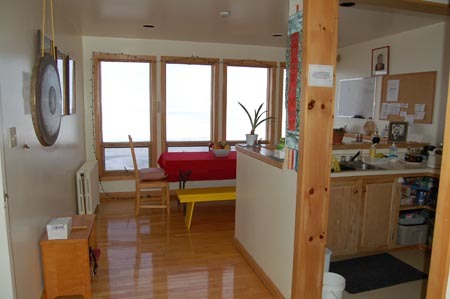 In addition, there is a large main kitchen and complete laundry facilities.